Last year we adopted a little white cat who turned up mangy and flea bitten on our door step. I decided to make her a scratching post as I knew it wouldn't be long before she'd be trying her claws on our sofa. 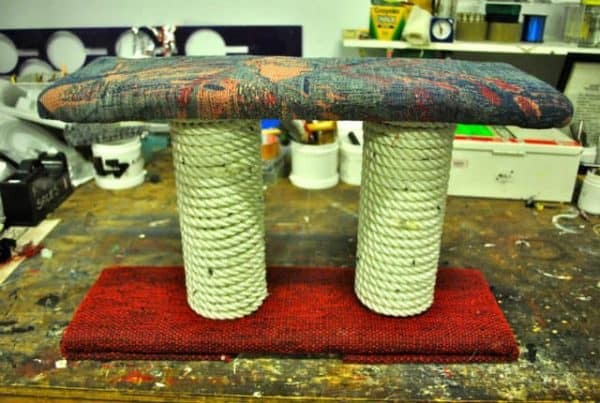 I wrote some step by step instructions on my blog for those who want to make their own cat scratching post. You can personalise it with different fabric, the number of supports you use, even go higher and make more levels. You could even rub catnip over the fabric so your cat knows its for her. Having cats at home is very fulfilling it gives so much happiness to me especially when watching them play. 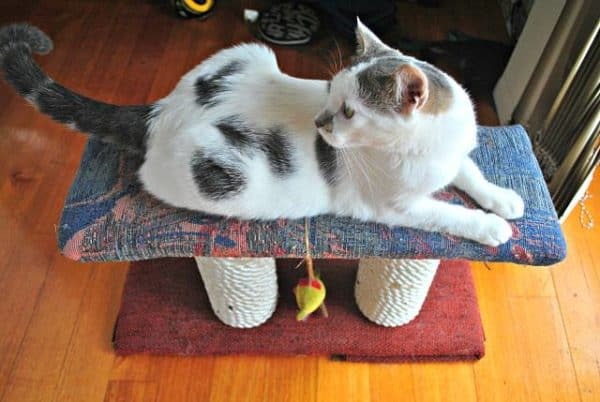 Your post gives me an idea on how to make scratching post for cat that won’t cost me a lot.